Thanks for joining me again, This is Rick Jusenius, Washington Realty Group. Well I got up this morning and fall is definitely in the air. Was thinking about a topic for today and I thought gosh I wonder if people ever think about getting the house ready for winter. I suppose some of us do and some of us don’t so here’s a few quick tips. And yes I’ve created a little cheat sheet here so I don’t forget anything. Windows and doors, you want to make sure that everything closes up properly. You want to check around your windows to see if you have know, air infiltration. This is a great time to do it, because with a heated home, it’s really easy to feel those cold drafts that be coming in around a door that needs new weather stripping or maybe some windows that need to be re-caulked or they’re not you know sealing properly. This would be a great time to lower your energy bills and get rid of some of those annoying wintertime drafts. Also, you know, you’re going to also, want to check out your plumbing situation, make sure that, you know your your exterior hose bibs, have a little foam cup over the top to prevent them from freezing. Or maybe you have a newer home and they have what we call a frost-free hose bib and all that really means is that the shut off valve for the exterior water is integral inside the structure. So there’s a long rod that moves from the handle of the faucet into the structure a few inches and that’s where the water actually gets shut off. On older homes, that wasn’t the case and the shut-off is right at the valve which is exposed to the elements, so you want to make sure that your faucets have been winterized. This is also a good time to check your furnace, make sure that its operating correctly; you sure don’t want to have a furnace malfunction in the middle of winter on a cold, cold night. So have a heating contractor coming to evaluate your heating system and make the repairs now, while the temperatures not terribly cold outside. That means doing the air filter, checking for the proper amount of heat output, checking the gas piping if your furnace is so equipped. That everything’s you know structurally and the integrity is all there and correct. That’s a pretty important thing to do along with, you know checking for the proper temperature of your hot water tank. 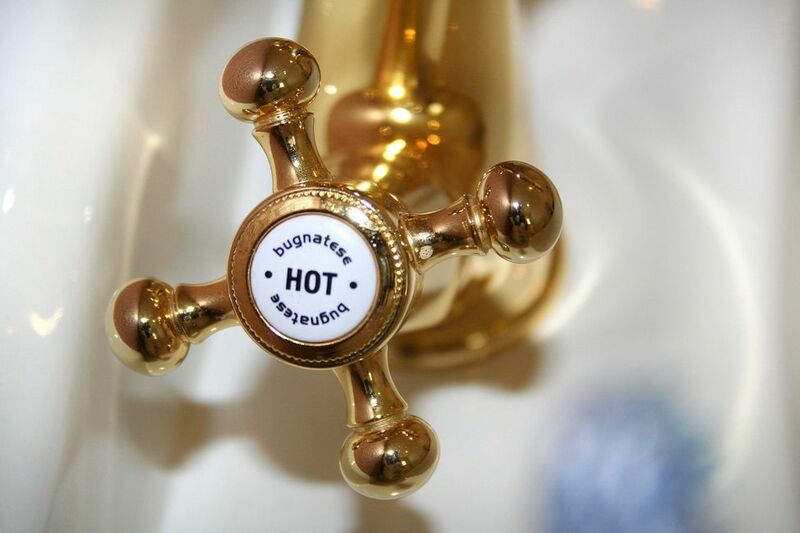 You don’t want to have it too cold and you sure you don’t want to have it too hot, as that presents a scolding hazard as with a hot water tank that’s putting out to high temperature of water. This is also a great time to put away all that lawn equipment. Clean everything up good with the hose and to prevent rust, just spray a light coat of oil on your shovels and rakes and that will prevent them from rusting over the winter months. Also a good time to clean those gutters. Lot better to do it now, then when there is ice on the ground. So either hire a professional or get out the ladder and make sure that your gutters and downspouts are all running free and clear. And next time we have a big rainstorm, walk around your house and check out things like standing water. Are there splash blocks that divert the water from the downspouts away from your house that’s a good idea. time to check things out down there since we’ve had a little bit of rain and the water tables are beginning to rise in a lot of the communities. For more tips on getting your house ready for winter, please give me a call or send me an e-mail appreciate you taking the time. 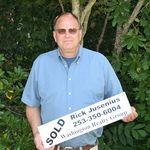 Until next time this is Rick Jusenius, Washington Realty Group.